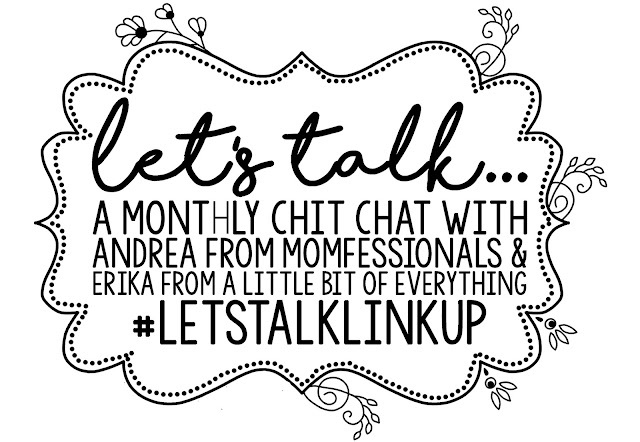 Today I'm linking up with Erika @ A Little Bit of Everything and Andrea from Momfessionals for Let's Talk! 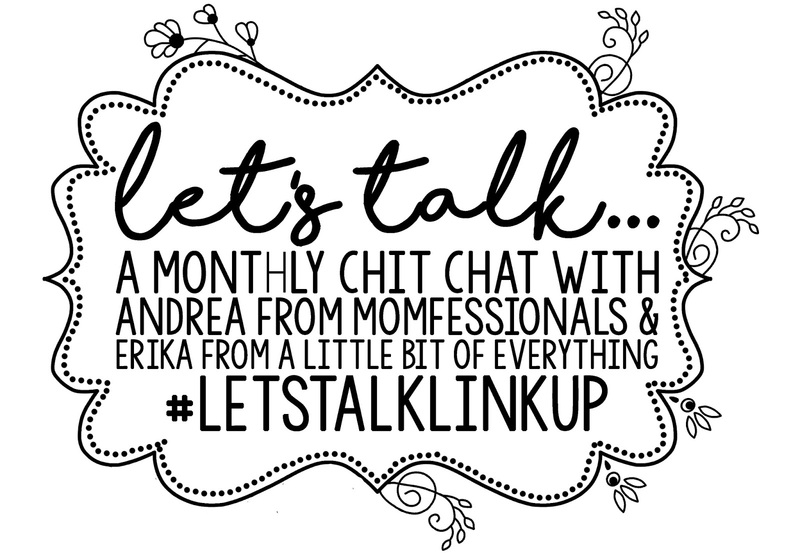 It's a monthly chit chat with different themes. The theme for January is New Year's of course! So I'll be sharing some of my goals and resolutions for this year as well as a sort of calendar of things I'm looking forward to for 2016! Fitness // Yes, everyone and their dog has fitness and exercise as one of their goals for the new year, but for me it's just a little bit different. I'm not worried about weight loss or building muscle...I'm just hoping to stay in shape until baby Parker arrives in an effort to be back in normal clothes as quickly as possible after delivery. It only took about a month to get back into my regular clothes and 3 months to be back "in shape" after Lucy, but the transitional period was easier because it was winter; baggy sweaters hide all that extra baby weight. With Parker, it will be summer and I have my brother's wedding in July, so I have really got to whip it to be able to wear a decent dress! Breastfeeding // I am so blessed to have been able to breastfeed Lucy as long as I did. We only made it 3 months, but 3 months is better than zero! A resolution I have this year is that I will work harder and do my best to breastfeed Parker as long as possible! With Lucy, it was a struggle with impatience. It wasn't fast enough for her fancy, and the longer she fought and refused to latch, the less supply I had/she only got foremilk. She ended up losing weight so we had to supplement and ultimately made the permanent switch to formula. Any tips and tricks for keeping up a healthy supply (specifically while working out), are welcome! Cleaning & Organization // I'm working really hard to stay organized and keep up with cleaning the house this year. I've been working on daily cleaning schedules as well as slowly organizing and sorting through different parts of the house. I would love to have everything sorted and stored properly for when we (hopefully) buy a house this summer! It would make packing a breeze and crosses one more thing off of my list of unpacking when we do finally get settled in a new home...which is a definite necessity with 2 kiddos under 2! Budgeting // Speaking of house hunting, another resolution this year is to really stick to a budget. I know that the better I do at this, the easier home buying will be on us. I want so badly to get rid of as much debt as possible so that we can live comfortably in a nice home and not have the financial stress we've had in the past. So far we have paid off 2 out of 6 debts (we aren't including student loans). Not bad for month one of 2016! A lot of my "goals" are simple things. Things I'd like to do if possible, but that aren't life or death or anything. One of those is making sure to have frequent date nights with my hubby. We are about to have 2 kids under the age of two! It's going to be chaotic and busy and exhausting to say the least, and I have a feeling that date nights and intimacy will be few and far between for the first few months especially. My main goal is to make sure we make an effort to really focus on US for a while. Whether it's an official "date night" with a babysitter and an outing, or just spending an hour alone together at night, I want it to be more than just sitting on the same couch watching the same TV show, ya know? Our marriage is the foundation of our family, and I want to make sure that that foundation doesn't falter in any way! This next goal is similar...date nights with Lucy. While she's really too little to understand the concept of individual dates with mommy or daddy (though I do want to implement those as she gets older! ), I still think it's important to spend time together as a family when possible, and I'm hoping to be able to do a few fun things with her before Parker arrives, to really give her the attention she deserves before I have to split it between two babies! If anyone has advice on being a mama of 2 little ones, I would love to hear from you!!! January // Nothing here, since the month is almost over and there's just not a lot going on this month! February // Valentine's is one of my favorite holidays! I love all the glitter and pink and red! My main goals for this month are spending Valentine's with my sweet hubby and hopefully a fun family date, too. March // Lots of holidays and celebrations here in March! Preston has a birthday (as well as his brother, my brother and one of my sisters) and it's also St. Patrick's Day and Easter! I'm excited for Lucy to actually enjoy her Easter basket this year and I always love shopping for matching family outfits ;) March is also my last chance to take a trip to Lexington before Parker arrives, but since Preston will be using all of his vacation time later in the year, it will have to be a solo trip (just me and Lucy). We'll have to see what the books have in store for us (and what that budget holds) but I would love to be able to see everyone one more time! Solo trips to Lex aren't going to happen anymore when I have 2 babies in the car! April // No plans because Parker will be here! It's hard to make any extensive plans when you have no idea when you might go into labor! Lucy came a week early and only took 10 hours, so I'm not straying too far from home during the month of April! May // While May will mostly be full of lots of adjusting to life with 2 kids, I also have the MOPS end of the year picnic to look forward to and hopefully a quick trip to Lexington with the whole family. My siblings will be in school when Parker gets here so they won't be able to come visit us. We're going to take a small trip there over Memorial weekend to stay and introduce him! 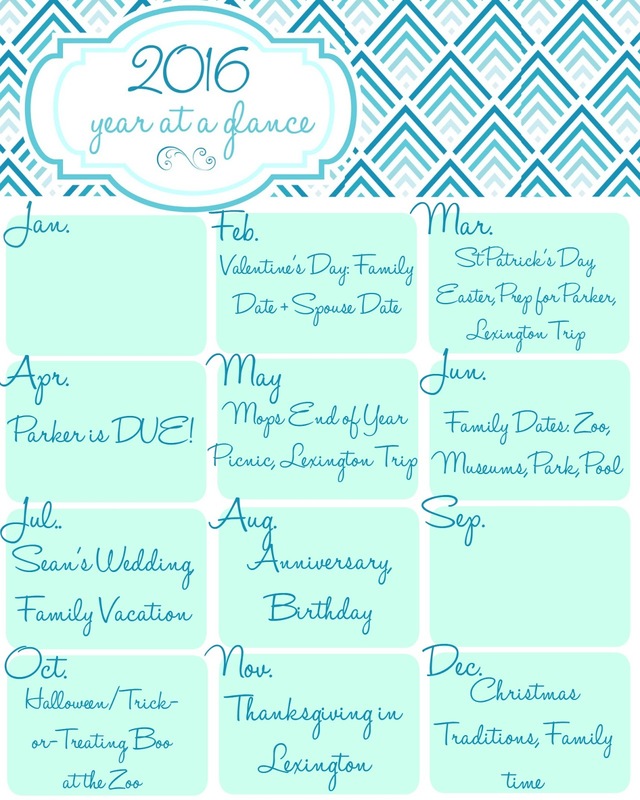 June // So far we don't have plans in June, but since it's summer I do want to plan some fun family trips to local events. We always do the St Louis Zoo and park playdates, but I'd like to add the Science Museum, the Art Museum, Missouri Botanical Gardens, City Museum, and other local festivities like flea markets, farmer's markets, apple picking, the pool and more! July // July is our Family Vacation month! We're going to Kentucky for a few days with Preston's family to see the opening of the new Ark Encounter. It's going to be so neat! I'm sure we'll do some other fun things in the area while we're there, and of course stop and see my family ;) then my family is heading back to Illinois (and so are we) for my brother's wedding! August // Preston's and my 3rd wedding anniversary is in August and so is my birthday! So I'm sure we'll be doing some celebrating on that front. September // Nothing here, nothing planned--yet! November // Thanksgiving! And this year we get to spend it in Lexington, hopefully! That's the plan anyway. December // Christmas obviously! I'm so excited to have family traditions implemented this year, especially since Lucy will be almost 2 and will really enjoy so much more than she understood this year. What are your New Year's goals and resolutions? Do you have any big plans for 2016? I'd love to hear them!